Two GEMers attended the so-called hearing on the KIPP charter high school, which Ed Notes reported on in this report: KIPP High School Charter School Public Hearing 4 Days Before School Due to Open. You can join GEM in the battle for public eduation by attending a meeting and plugging in to activities. Here is the GEM report of the hearing, also posted at the GEM blog. A farcical forum on a new KIPP charter school slated to be place in IS 195 in Harlem took place on Thursday. A KIPP middle school has existed in the b uilding for a number of years, slowly eating up space, forcing teachers to re-locate classrooms, even in the middle of the year. The proposal is for KIPP STAR to place a 9th grade, with 45 students from throughout the city, into the building, supposedly for only one year. Teachers at IS 195 literally found out about the new KIPP STAR High School last week! [Ed Note: We have known about the KIPP STAR HS since the spring.] 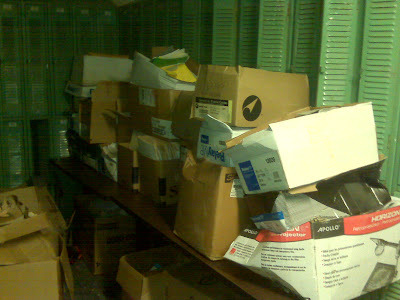 They discovered piles of school/teacher materials dumped into the boys and girls locker rooms. Unbelievably, KIPP generously offered to pay for the materials to be placed into a storage space. Presumably, teachers would be able to pick up these materials during their lunch breaks? About 15-20 IS 195 teachers showed up to the hearing, in addition to someone whoa few ACORN people came, a DOE representative, a UFT representative, and 2 GEM'ers came. One woman from SUNY came, only to "listen" and report back to the SUNY board. Nobody from KIPP STAR charter school bothered to show up. Nobody argued in favor of the charter school being there. I know the 195 teachers saw Norm's blog the night before and came because of that. Teachers from IS 195 made comments to the effect that they expect the DOE to eventually attempt to completely phase out IS 195. Teachers at 195 stated that they assumed the high school would be staying for more than one year, not a bad assumption given the track record of charters in other places. As with other schools, this is not a "failing" school, even by the D.O.E. 's skewed standards. Many teachers there had been in the building for 10, 15 or more years (in one case, 31 years! ), and pointed to the improvements that they have seen in the school. Teachers also raised concerns that placing a high school within a middle school setting would not be good. GEM representatives announced the upcoming "Truth About Charter Schools Forum" this coming Wednesday and got contact info from a bunch of teachers. .....if you give credence to the widespread anecdotal rumors that bogus "credit recovery" scams are in full force and/or that schools which grade their own students' Regents exams inflate scores. From a comment on the post "SAT scores are down but AP's are up, in the city and state". The drop in SAT scores makes perfect sense if you give credence to the widespread anecdotal rumors that bogus "credit recovery" scams are in full force and/or that schools which grade their own students' Regents exams inflate scores. NYC DOE's press spin, i.e., that scores are lower because more black and Hispanic kids are taking the SAT tests, is nothing short of reprehensible. The increase in black and Hispanic kids' graduation rates in NYC - if they are to be believed - appears to be the result of a perverse kind of social promotion. They get promoted all right, with meaningless diplomas in hand, right out of school entirely. But what, pray tell, is the purpose of increasing minority students' graduation rates if their underlying skills haven't been upgraded in sync? So now the Tweed spinmeisters crow because they're giving the current generation of minority NYC high school graduates, who can mostly only get hired low-paying jobs as custodians, janitors, waiters and hairdressers because they really can't read or do math very well, high school diplomas that will make nice wallpaper on the inside of their work lockers, but do precious little else for them? What a colossal fraud! And what a miserable thing to do to these nice black and Hispanic kids who have summoned the motivation and gumption to take the SATs in the first place. No wonder the NYC DOE has ceased its practice of publishing individual high schools' SAT scores. Seems like a lot of them may really be Potemkin Villages. Let's all push for more economic stimulus money for the CUNY community colleges' remedial programs. Gotham's Elizabeth Green's article (and charts) on the SAT scores. Other News to be posted later. Report from the KIPP high school hearing at IS 195 in Harlem this past Thursday. This came in a recent email. Sort of a high line with water and boats. Six years, 500 million euros, 918 meters long.......now this is engineering! This is a channel-bridge over the River Elbe East and West Germany as part of the unification project. It is located in the city of Magdeburg, near Berlin. The photo was taken on the day of inauguration. To those who appreciate engineering projects, here's a puzzle for you armchair engineers and physicists. When we were at the 5 city conference in LA a few weeks ago, we heard an excellent presentation from our colleagues in Washington DC, one of the heaviest hit cities by charter schools. Candi Peterson told us of the number of charter schools that make sure NOT to have a special ed teacher on the staff so they can tell parents with kids with IEPs they will not be able to serve their child adequately and wouldn't they be better off in a public school? Can't you see the future? Read Lisa Donlan's post on the NYC Education Listserve in response to charges the DOE was allowing private interests access to ATS private information on parents and students to recruit them for their programs and schools and you can see the future is here and now. The office of Charter Schools justifies their attempt to pull kids out of DoE schools and into Charters as a way to equalize the demographics in those two separate education tracks. This is a rhetorical justification that the reality does not bear out. The reason charters do not serve students with additional learning needs, such as ELL, ED or any needs beyond SETTS is NOT because the students did not know they are an option. This is not a marketing problem- it is a pedagogical or philosophical one. To whit- in District One (Lower East Side of Manhattan) the average special ed population in district elementary schools is around 15% - these are students in CTT or self contained classes or are students in D75 who are mainstreamed in gen ed programs. In our Middle schools this district average jumps to 21%. Yet the charters located in District school buildings - which serve some 11% of our district students - DO NOT OFFER ONE SINGLE CTT or SELF CONTAINED CLASS. How is sending those kids brochures, letters, or post cards going to close that service gap? If your child has an IEP that spells out the learning environment and services he or she needs, and your local charter schools does not offer said services what are you going to do? Look elsewhere to enroll your child. Charter schools, which use public tax dollars and public school buildings can afford to provide lots of nice extras- like small class size, enrichment classes, longer days, etc. in part because they do not need to serve the neediest of our children. This nation is rushing towards a system of separate and unequal schools where, among other segregating practices, the families of our most vulnerable kids understand that they NEED NOT APPLY to charters. Ed Notes will be there giving out GEM's "Truth About Charter Schools" and ICE's Contract Demands. Look for reports over the weekend. The struggle against Mayoral Control of NYC Schools continues. Come Saturday and get involved with this newly formed coalition of parents, educations, students and community activists! Parent, Educator and Student Power! The Coalition for Public Education will host a Founding Day Convention on Saturday, August 29, 2009 at DC 37 Headquarters. DC 37 is located at 125 Barclay Street in lower Manhattan near the Westside Highway. In attendance at the Convention will be the following public officials partaking in a panel discussion on the current trends in public education and the recent debate on mayoral control of the school governance system in New York. During the Convention members of the Coalition for Public Education will facilitate four Caucuses identified below engaging convention participants in a discussions pertaining to public concerns regarding parental rights, youth advocacy, labor issues of educators/school staff and community concerns about neighborhood school control. Are you a Chapter Leader, Delegate, or someone who is interested in helping mobilize school staff? I was at session 4 of Teacher Unite's 4 day teacher activist course today. This was the one session I missed the last time around in May and with Megan Behrent (TJC and ISO) facilitating, it was excellent. Megan explained the philosophy behind current union leadership in the UFT/AFT and in most other unions as the so-called service model of unionism, where the union provides the minimum service to members. This is in contrast to an organizing union that builds a firm base of active rank and file support instead of the passivity leaders, whose major goal is to hold onto power, crave. Megan explained that since the NYC fiscal crisis of the mid 70's, followed by Regan's dismantling of the air traffic controllers in the early 80's, with only tepid union response in both cases, unions in this country have been on the run as their only strategy is based on the idea that if they are to win anything at all (mostly salary and little in the way of working conditions) it will only be by giving back concessions. Remember: the UFT was built based on militancy and strikes in the late 50's and early 60's, the roots of their success. New contracts not only had more money, but contained aspects of better working conditions. All that changed around the early 80's (connection to air traffic controller wipe out?) when Al Shanker started sounding like a partner with the very people hammering teachers. Three fairly new chapter leaders and at least two delegates attended and they said this was better than any training the union does. Sally should just run the darn thing for the UFT. But then again that would activate the rank and file chapter leaders into viewing themselves as organizers rather than the UFT view of them as disseminators of whatever propaganda that supports the UFT narrow view of the relationship between the leadership and the members. There were some good lines about UFT officials. "Two 60 year old white guys talking at us and putting on a show with little interest in hearing what we had to say." "My district rep mostly talks at us at district meetings and disseminated material. There is no dialogue. Ahhh! District reps. The overseers of the plantation. The key people in keeping things and people in line to make sure no militant movement gets started in the teaching ranks. There to deflect and give people who want action busy work so they will eventually get tired and give up. The people at the course today said they had their eyes opened as we workshopped their school, principal and their own role as chapter leader with suggestions and actions. "The union never does this," was a common refrain. That is why if you are a chapter leader or delegate or even someone just interested in organizing your chapter, these Teachers Unite monthly sessions are for you. RANK AND FILE TEACHERS UNITE! Join Teachers Unite's third monthly meeting where teachers committed to social justice and human rights share their school stories, organizing strategies, and visions for a UFT that fights for what we believe in. 1. Share best practices for chapter organizing. turn right, walk west to the River, turn left. 1, 2, 3 or 9 to 14th Street & 7th Ave, get off at south end of station, walk west on 12th Street to 8th Ave. left to Bethune, turn right, walk west to the River, turn left. Think Teachers Unite is doing great work? We need your support! Please visit http://www.teachersunite.net/sign up to become a member or http://www.teachersunite.net/node/339 to make a donation. A teacher at PS 241 sends an anguished outcry as the Eva Moskowitz blitzkrieg runs over another Harlem School just as school is about to open. Ed Notes has been reporting summer at the battles at PS 123 in Harlem (search the blog for PS 123 and check out all our videos). The Moskowitz attack dogs came out in force attacking the UFT for trying to keep "failing" schools open. Then low and behold, PS 241 gets a good grade of B on the DOE's own stupid grading system - since we laugh at that system, we don't like to credit schools with "success" or "failure" based on Leibman's folly. But, hey, they wanted to close it based on a grade. So, the summer passes and just as school opens, we get the letter to follow today from people at PS 241. Check all the Ed Notes sources below which includes a previous letter from April. News from PS 241- one of the schools embattled in early spring 2009 to save themselves from "Phasing Out" and being replaced with Harlem Success. While news of the lawsuit pushed the DOE to back off and give us another "chance", it did not stop Harlem Success from being given the green light to move into the building anyway and target our students to fill their spots. Our parents received heavy mailings, phone calls, and personal visits, as Harlem Success employees stood outside the school building at every dismissal accosting parents and cajoling them into signing up for HS. Staff members were told by parents just how persuasive and persistent Moskowitz's team was and wondered if they really had a choice. All the while DOE and Moskowitz/HS staffers were in and out of our building, offices, classrooms- sizing up what they wanted and making plans to get their way. We acknowledge that our enrollment is dropping- certainly partly in due to the myriad of Charter Schools in the area sending their beautiful full-color brochures and promising longer hours (daycare!) and sometime monetary rewards as well for students to transfer out of the public schools. Add a well-funded, pushy Harlem Success Academy to the mix and we do not stand a chance! Our funding has been cut so that we can not provide much in the way of after-school programs, so when they offer an opportunity to attend their school which starts at 7:00 and ends at 4:30- what parent would decline? And now, we have had to give up so much space to HSA. Mind you they were caught in the spring time stacking their enrollment numbers to nearly impossible numbers so as to gain more space than needed. Our principal called them on this and M had to admit she had less than previously stated. Who knows what else she lied about. The DOE blindly accepted- seemingly happy to shove PS 241 out of the way? Our Middle School students will be relegated to several classrooms in the basement, our principal has given up her office (adjacent to the main office) to a first grade classroom, we have lost our Art Studio, our elementary school science lab, our teachers lounge, parent room, offices for pull-out instruction, and now must share the gym, school yard and cafeteria with two schools. One can only wonder what time lunch will be served? Recess will go on forever with the screams and laughter that permeates the classrooms and disturb the learning environment (the school yard is situated in a courtyard fashion) – no problem when it was only for an hour a day- but now? Moskowitz is trying to smooth out the wrinkles by purchasing our silence and complacency. She has offered the following: new cafeteria tables, new gymnasium, new auditorium. If these were so sorely needed, shouldn't our own DOE have made arrangements??? Don't our students deserve things too! They have completely renovated the wing HSA took over: air conditioners (our students did not have any), new walls, new doors, smart boards in every room, beautiful cubbies placed in the hallway so as to leave more room for who knows what kind of furniture and other goodies that have an overabundance of money to purchase. They also have staff members manning the hallways providing the much needed security to keep our students and staff members (and those of Opportunity Charter School) out. This is just what I know about- I am sure there is much, much more! Who pays for this? DOE, not HSA! The last item I will mention- due to HSA moving in - our entire school has had to be shifted from one wing (separate building) to another and redistributed over four floors with several classes isolated either in the basement or on the third floor with the other Charter school. Every classroom had to be moved. Every classroom teacher spent countless hours packing up during the last week of school– not just into closets,etc. as usual, but into packing boxes that could only hold a specified number of pounds. Boxes were supplied by DOE but ran short early on. Teachers were overwhelmed with trying to teach and supervise their students while also ensure that no item was left behind. No teachers were compensated for this extra work- not in time or money. No movers were brought in until the teachers did all the packing. The movers simply moved boxes from one room to another. 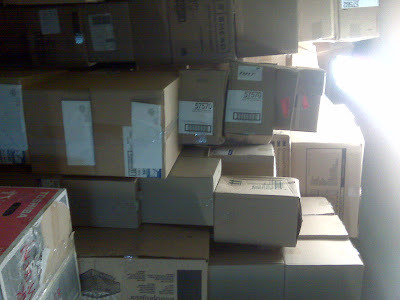 Our custodial staff still had to clean up and move all the boxes themselves in order to do do. It is a MESS! Now, as we get set to return to school we are invited in to come next week- one week early, to start unpacking and setting up our classrooms. The principal has tried- to no avail- to get DOE funding to compensate us for the amount of time it will take to start over this year. We know many teachers chose to come in early on their own - but this is not the normal new classroom set up! With everyone doing their best- boxes are still everywhere. Furniture is an issue as elementary classes will now be housed in previously middle school rooms. It will take a monumental effort an everyone's part to get classrooms up and running. However- teachers must volunteer their own time to do this. No help will be available to move boxes- many of which are stacked high- and remember what is in a classroom and imagine the weight in some of these boxes. How can DOE make us move and do nothing but provide one-time movers with no time, support, or understanding of what it will take to give our students warm, inviting classrooms to come back to on Sept. 9? Forget what will be a stark and painful difference between the HSA classrooms that many of their friends, siblings and neighbors will be sitting in around the corner? As some off you may have heard- DOE will not be closing the school down- they have been put off by the lawsuit! This is not a true victory however. Please read the letter being sent to the parents carefully. Parents are still being bullied to send their students to other schools. Harlem Success Academy will still be placed in our building. Middle school will be phased out. Where will there be room for HSA? We would only lose our grade 6 students. We will be attempting to get back all of our parents who were forced to apply elsewhere- but how will they all be housed? Sharing facilities with 3 schools- how? We already do not have use of our gym- and struggle to share the other common areas with another charter school in the building. We will lose classrooms, we will lose our art room, we will have to figure out lunch and breakfast times and children will be eating at all kinds of hours. PS 242 [another Harlem school]- has shown that three buildings cannot live peacefully and successfully in one facility without children suffering. Also- DOE says that if students come back to the school- and if 241 progresses well (by what standards and whose say so) we will stay open- otherwise we will still be closed. That means with HSA already in the building- they can take over. They will still have a way to rezone illegally in the future. This must stop. This is not a victory- they have only shifted that battle. It is not commonly known, but KIPP is establishing its first high school right here in NYC at IS 195 where all KIPP schools will feed their 8th grade graduates. The expectation is that there could be up to 200, or more, 9th graders occupying space at Harlem's IS 195. A long time in planning (we've known about the KIPP high school since last spring), the fact that a public hearing, as required by state law, is being held tomorrow (Thursday) at 11 am at PS 195, just days before the school is to open KIPP will occupy the entire building before very long. In a time of total cynicism about the actions of the NYCDOE and the State Education Commission, this one is still a doozy. I think there is some law being violated but who cares anymore about little things like laws. With many people being out of town, there still may be some people heading up there from GEM to hand out the spanking new trifold, The Truth About Charters. Maybe even read it into the testimony. Come on down if you have time. Here is the announcement sent out not too long ago and not too widely it seems. Purpose: Pursuant to New York Education Law subdivision 2853(3), the purpose of the State University of New York Board of Trustees’ Public Hearing is to receive testimony and statements from concerned individuals about locating the KIPP S.T.A.R. Charter School in part of the I.S. 195 building at 625 WEST 133rd STREET, NEW YORK, NY, which is owned or controlled by the New York City Department of Education. 1. Persons who wish to make brief comments (no more than three minutes) are requested to file their names with the Hearing Registration Officer on the day of the Hearing, in advance of the beginning of the Hearing. Time for such comments will be set aside at the end of the Hearing, and such persons will be called upon in the order in which they register with the Hearing Registration Officer. In your written testimony or statements, please identify in a brief fashion the subject of your testimony. Written testimony or statements may also be given to the Hearing Registration Officer on the day of the Hearing. there have been some developments that make the situation worse than it seems and we may see these lines cross sooner than we thought. I actually heard another favorable report on Rhee on NPR (funded by Bill Gates) today where the commentator actually said Rhee was struggling to keep kids in the public schools. I had to pull over to the side of the road. They just don't get it. That Rhee - and Klein, et al. - were chosen to preside over the demise of the public school system, not its resurgence. Their goal is to one day have zero schools under their direct management so they can be left to go to press conferences at successful charters, whose $370,000 a year CEOs will bow and scrape in genuflecting thanks. “Enrollment in DC Schools Plunges as Students Go Elsewhere” (http://tinyurl.com/mc9moq). Chancellor Michelle Rhee’s leadership continues to drive students away from DC public schools and to shrink the public school system, and she continues to escape public criticism for it. One person who understands the importance of keeping an urban school district’s enrollment figures up is Robert Bobb, DC’s former city administrator and school board president, who this year is in Detroit as the emergency financial manager of its schools, trying to persuade and beg parents to keep their children in the public schools (http://townhall.com/news/us/2009/08/22/robert_bobb_hits_streets_to_coax_students_back). And Bill Tourke (thanks to DR for the tip) in the Washington Post. Despite an advertising campaign and an early push to sign up students, the D.C. public school system will begin classes Monday with an enrollment of about 37,000 -- 17 percent below the total at the end of the last academic year, officials said over the weekend. Enrollment in regular public schools often grows during the year, as students and parents complete paperwork and some transfer from public charter schools. But a spokeswoman for Schools Chancellor Michelle A. Rhee declined to predict whether the system would reach 44,681 -- the audited enrollment figure from last school year and the basis for its $760 million 2010 budget. Moreover, because the school system moved up the start of its annual enrollment process from July to April, the late surge could be smaller than usual. "We anticipate a much smoother start to school with fewer families needing to enroll during the first few days," said Jennifer Calloway, Rhee's spokeswoman. She added that last year at this time, only 15,000 students had completed enrollment. In addition to a radio and bus sign ad campaign ("Go public and get a great free education!" said some spots), principals visited homes, held community barbecues and conducted enrollment fairs in concert with immunization clinics held by the District's health department. Regular public school enrollment in the District has declined by more than half since 1980, while the public charter community has grown dramatically since the independently operated schools began in the 1990s. More than a third of the city's public students attend charter schools, which project an enrollment of about 28,066 this fall, up more than 10 percent from last school year's 25,363. Some analysts say public charter enrollment could surpass the regular school population by 2014. The vastly different trends have made enrollment politically contentious. Rhee has said she expects persistent declines to bottom out, with the school system's numbers perhaps starting to edge upward. But the D.C. Council voted May 12 to hold back $27 million of the 2010 budget, because it found implausible her projections for an increase of 373 students, to a total of 45,054. Council members contended that the charter schools would be drawing more students from regular schools. The council projected regular public school enrollment at 41,541, based on trends from the previous three years. Both sides eventually agreed to use last school year's number -- 44,681 -- as the benchmark. D.C. Council Chairman Vincent C. Gray (D) said Sunday that the 37,000 total is "probably low," given the school system's history of late enrollment. But he added: "I do question the likelihood of getting 7,681 enrolled between now and the first of October," when the first official count is taken. Coming soon to your local schools: the end of public ed. LA has the highest concentration of charter and other schools managed outside the system. When we were in LA last month meeting with teacher unionists, this was the big battle they hope to win. The vote was 6-1 against. Middelhoff, Joel Klein's former boss, laughing at the joke of a NYC School system he helped bring about through his promotion of Joel Klein. Inside the New Print Edition of Our Subscriber-Only Newsletter! New York Times Director Probed for "Breach of Trust"
To the Sulzberger family that controls the New York Times he has been the ultimate Good German. High-flying Thomas Middelhoff took New York by storm, buying Random House for Bertelsmann, invited onto the NYT board, a member of its compensation committee. Read Eamonn Fingleton’s exclusive on how Middelhoff has crashed to earth and how the NYT has buried the story. Who is Thomas Middelhoff? 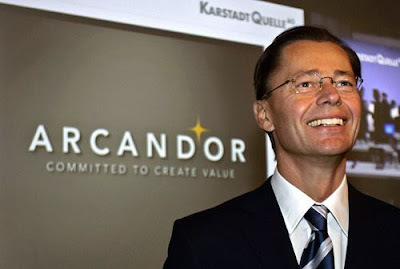 He hired Joel Klein at Bertelsmann and when Middelhoff was forced out in a scandal, with his protector gone, Klein was thrown the NYC schools as a lifeline and we ended up stuck with him. If anyone tracks down the article send it along. On another front, check out this article, especially for those people who think removing Joel Klein or Mike Bloomberg would set things right in education in NYC. The key to the nationwide onslaught has been the governance issue as a first step so as much public insight could be removed as possible. Thus the key is to forget all the attacks on what went on in pre mayoral control years and figure out some way to design a system to take power over education away from these forces. Even if there were millions in the streets against them these forces would desperately cling on - (Clingons?). Expect them to point machine guns at the crowds. And to return to a popular theme: the only organized force that was capable of resistance were the NEA and AFT/UFT. They didn't and they won't. Thus, the battle for public education must also include internal battles within the urban union locals to force a change in policy. Whenever I have had the opportunity at PEP meetings where I could address Joel Klein directly, I have pointed out that as long as even one teacher was hounded into the rubber room for political reasons, he would have more difficulty in removing even those teachers who should be removed. I called on him to monitor these political cases carefully to protect the integrity of a process to remove teachers who should be removed. And let's make no mistake about it, there are teachers who should not be teaching. I always make the point that if teachers were given power over running the schools, these people wouldn't last long at all. NOTE: Check comments section where comments on the article from listserves are inserted. Was Steven Brill commissioned as a hit man on the rubber room and ATRs? A long article in the New Yorker by Steven Brill (posted on Norms Notes Biased and One Sided Article on Rubber Room and ATRs) goes after the rubber room people and ATRs. Brill uses selective interviews with principal Anthony Lombardi and Joel Klein with comments thrown in by Randi Weingarten. The article is clearly designed as the opening salvo in a PR blitz to pressure the UFT to give up some protections in the current contract negotiations. The problem for the UFT is how to do it without causing members to go crazy. One way out for the UFT is to put up a weak fight to keep tenure law from being weakened by claiming they couldn't stop the state legislature from wanting to get some of the Obama/Duncan stimulus money. The contract supersedes the state law I believe and was already weakened in previous negotiations (thus, teachers have less protections that they would under current state law). We have been predicting the coming assault on the ATRs and rubber room. We laid out the plan for ATRs over the weekend: Creating ATRs a Key Part of Privatization Plan pointing to the various phases. Though expensive, Bloomklein made an initial investment by agreeing to pay ATRs for a period of time with the goal of using the press and public opinion to force the UFT to give up something in exchange for raises. Clearly, Brill was allowed access to rubber rooms. (When filmmaker Jeremy Garrett of "The Rubber Room" movie attempted to enter Brooklyn's Chapel St.rubber room he was arrested.) He selectively interviewed certain people who could help make his case. He even attended an open hearing. Note that he did not attend the most famous and often advertised open hearing, that of David Pakter. Let's look at the writer who is making these judgements. Brill (I'm assuming this is the guy, but correct me if I am wrong) himself has had some controversy. 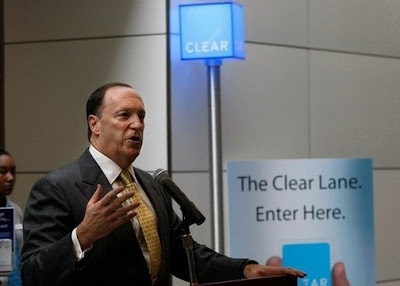 Hamilton Nolan wrote this past June in The Persistent Failure of Steven Brill. Check the site directly for the links, but here is the text. If they had rubber rooms for the things people like Brill do, he'd be writing about himself. Please request Hearing Room of the Hon. Douglas J. Bantle, Esq. Thanks to Jeff Kaufman for posting the article. You never really know the impact of the things you say in class. Mr. Cantor, my 10th grade French teacher (spring of 1960) at Thomas Jefferson HS in East NY Brooklyn was a truly excellent teacher. He was very different from Miss Milstein the teacher we had from the semester before, who was a legend for the terror she created – she would call us up to the board to do grammar corrections and you had better be ready. Cantor was genial, didn't stress grammar and focused on having us read and translate works of fiction and engage in rudimentary conversation. I might have actually learned French if that hadn't been my last French class. He rarely spoke English to us. But I have a vivid memory of him telling us we would never be considered educated if we didn't read through most of the sections of the Sunday NY Times, which would at the minimum, allow us to touch base with the major cultural and news issues of the day time. I don't remember if I actually followed but I sometimes repeated the story to my own classes. One of my favorite students from the 1975 class kept in touch She went on to one of the specialized NYC high schools and then to a private college upstate. Though coming from a single parent, fairly poor home, she was marked for success from the first day she entered our school in pre-k. Though there was lots of scholarship money for college, she still struggled financially. We got together soon after she graduated. "I never forgot what you told us about buying the NY Times," she said. "Every Sunday, even in the coldest days, I would make sure to have enough money and I would trudge through the snow from my dorm to buy the Times and drag that heavy thing back to my room." If you knew teachers in a charter school who wanted to organize, would you recommend they call Randi Weingarten or Leo Casey? I get people who ask me why so much non NYC stuff on this blog from places like LA and Chicago? They are missing the essential national and international attack on teachers and their unions if they focus on the minutia of what goes on in NYC. See, the big picture gives the resistance a better ability to fight back. The UFT is actively working with many of these forces. Their basic strategy is to delay, followed by the avowed goal to organize charter schools, which actually puts them in the position of allowing the destruction of the public school system (and the union) in urban areas and then reorganizing almost from ground zero. Shades of the 50's and 60's. And they've done such a good job in the south. If you knew teachers in a charter school who wanted to organize, would you recommend they call Randi Weingarten or Leo Casey? Hello, anyone home at the UPS union? And here's the June Graduation section from the Time's "journal"-type series about Green Dot's takeover of Locke HS in LAUSD. The two highest-profile school-reform efforts in Los Angeles — the mayor’s schools and the conversion of Locke High into six charter schools — achieved lackluster results in state test scores released this morning. The picture was mixed for 10 schools overseen by appointees of Mayor Antonio Villaraigosa. At one school, Markham Middle School in Watts, test scores declined slightly. On the brighter side, test scores bumped up strongly at 99th Street Elementary. Overall, scores at these schools rose, but so did scores at most other district schools, and the mayor’s schools did not ostensibly separate themselves from the pack. What follows is similar to the same plan being put into place in urban areas nation wide, and indeed, around the world as part of the neo-liberal agenda. The corporate forces looking to control public education have an executable plan only of the union cooperated. And the UFT sure did. And does. Remember the goal: to have a school system with as few union teachers as possible. Thus, closing numbers of schools, especially the large high schools, which have seen an influx of charter schools full of non unionized teachers (anyone have a big rat to put in front of them?) Or the UFT for being part of the process? The other part of the equation is to have a massive influx of new, low salaried teachers and push out the high salaried ones. How does the ATR situation tie in? They needed to kill the seniority system as a first step in their plan. Imagine if they closed all these schools under the old system? All the teachers would start bumping people all over the place, just as we all went through in our careers. So, they took a temporary hit in the 2005 contract in the sense of agreeing to keep paying all these people as a temporary stage. Call it an investment in the long term goal of a non-unionized, privatized system. Now we are going to phase 2, which we call the buy-out phase, where they will pay up front to get people to leave or pull a Michelle Rhee and offer big bumps in salary to teachers who agree to give up their tenure. For those who don't jump, there are the public attacks on the ATRs by the New Teacher Project's Tim Daley, Klein and the press who will demand a Chicago system where ATRs get to sub for one year and if they have no job they are released. Look for some little nudge in this direction in the new contract. It will be subtle to get people to vote for it but it will give BloomKlein a wedge to move their plans forward. I've been having some very good conversations with some leading parent activists since the recent controversial post, Organizing Parents: Harder Than Herding Cats (Much), on the work of the Parent Commission. I hope you read NYC parent Benita Rivera's comments in this post: Setting a Wild Fire Under Parent Activism. I spent some time yesterday talking to lower east side activist and CEC One President Lisa Donlan, batting around ideas on getting teachers and parents at the ground level to work together. Lisa's organizing experience offers some excellent insights. GEM has potential to become an umbrella group, but GEM is still a teacher based group and we have to figure out ways to make things workable. I don't know Center for Immigrant Families (CIF's) Donna Nevel well, but CIF is already working with GEM. Donna had asked some GEMers to come up and talk to parents about mayoral control and Angel, Sam and Lisa had an excellent session. When you get it right, No one seems to notice. But even when you screw up, good outcomes can result. If new links between parent and teacher activists are forged as a result, we may screw up more often. We read your blog on parent organizing and wanted to share with you a little about some of the organizing CIF does. CIF is a collectively-run organization of low income families of color and community members in uptown Manhattan. Our work is based on popular education so everything we do grows out of parents and community members' wisdom, knowledge, and lived experiences. Our goal in our work on public education is to build community power and to fight for justice and real structural and transformative change to our public education system. We believe that being rooted in the community and having our analyses and strategies for organizing emerge from that reality is critical and fundamental to the work we do. We understand the deep and profound connections between the local struggle and the larger struggle city-wide, nation-wide, and, indeed, internationally and engage in each of these areas. We have worked closely with our allies in the social justice community on many different fronts and look forward to continuing to work together with others who share a vision of social justice and community self-determination that promote shared leadership, mutuality, respect, love, and dignity. Also, as you know, CIF has joined GEM and believes that building genuine partnerships among teachers, parents, and community members will greatly strengthen the work we are all doing. Center for Immigrant Families (CIF) is a collectively-run and popular education based organization for low income immigrant women of color and community members in Manhattan valley (Uptown NYC). We build from an approach that recognizes the intersectionality of oppressions, and locate our most powerful resistance as one that can emerge from the strength of who we are as women, caregivers, economic providers, survivors, and, essentially, as the “glue” that holds many of our communities together. We work to unlock our collective imaginations, dreams, visions of the society we want for our families and communities to thrive. We organize to transform the conditions of injustice we face and their multi-layered impact on our own lives and that of our communities. I just donated to CIF. Click here to do the same. NYC parent activist Benita Rivera sent us this insightful essay in response to some of the controversy generated by our post Organizing Parents: Harder Than Herding Cats (Much), which had to be revised because of a misunderstanding of the work of the Parent Commission. Sean and I received just a tad of criticism. Fortunately, most of the comments from parents opened up a serious dialogue and were generally very positive about the work we do. (We'll be posting some comments from Donna Nevel of the Center for Immigrant Families (CIF) as a followup later on. CIF has been working with GEM). Benita chronicles a lot of the history, naturally from her perspective, of the work of the Parent Commission in its battle against mayoral control. If there are other points of view out there, share them in the comments section. I have comments myself, especially on the role of the UFT, but don't want to clutter this post up too much. Just check the original organizing parent post for the section on how the UFT sold out the St. Vartas event. That event and its aftermath and the number of community groups that jumped in with the UFT instead of staying the course and following through with the May 1 rally set back the opportunity to build a mass movement that could have grown over the past two and a half years. I still believe that if that hadn't happened, the recent battles to kill mayoral control might not have ended the way they did. But the UFT and Tweed accomplished what they wanted: to split people apart and sow a level of mistrust. The Parent Commission to its credit was a regeneration of some of those activists but was not out to build a movement. That so many sharp, intuitive and active parents pushed back against the power of the massive BloomKlein machine, should be noted as a sign of the major failures of the education deform attempt to control the nations' schools. May they multiply exponentially. GEM and ICE are looking forward to working with them with open arms. Wow! Seems my attempt to convey a radical opinion started a wild fire of controversy, huh? So here I am again, respectfully responding to Sean's statement about the Parent Commission (PC), and for the record, giving more opinionated thoughts on them. (You have my permission to post this essay if you wish). In some ways, Sean was right on, and in others-- just wrong. BUT he gets HUGE props from me for listening to the PC's co-founders, Lisa Donlan and Leonie Haimson's replies, and for being open to learning more. Both you and Norm get MAD respect from me for being the kind of men big enough to publicly admit an error in both mis-characterizing the PC, and then posting retractions. In an attempt to clarify confusion about who and what the PC is for those who read the blogs and list serves, I'm making known another point of view about this group from a "colorful" perspective that's not often heard. Please know that membership in the PC was (is?) open to all public school parents and to those who represented parents in education advocacy organizations. It is a completely independent, unfunded, parent volunteer entity and I'm one of its members. I joined in the beginning of the PC's formation and although I have argued some of Sean's very points, I've stuck with them. My position with the PC can best be described by Randy Schutt's Inciting Democracy. "Until you can see the truth in at least three sides of an issue, you probably don’'t understand it. And until you can convincingly argue all three perspectives, you probably can'’t work with a diverse group of people to find a mutually satisfactory solution." Contrary to anyone who poo-poo'ed the Parent Commission's work, we DID and still DO oppose mayoral control. Only those at the meetings would be privy to knowing that we actually (round-robin) tallied each member's thoughts on mayoral control, and the result was that the Parent Commission was overwhelming OPPOSED. We worked to make that fact known; although at times, some of us were more vocal or got individually sought after for comments by the media, than others. The PC meet once a month at first, then bi-weekly, weekly, then almost everyday through emails and conference calls. Our purpose was to submit recommendations on the future of school governance to the NY State legislature when the 2002 laws on mayoral control sunset in June of this year. In order to come up with recommendations, we held and actively publicized public learning forums on a host of school governance topics that took place every month before we ever decided anything. We researched other systems of education and heard from panels of education experts working in a variety of fields, both in and out of NYC. Through these learning forums and by parent committees doing vast amounts of research, we all came to understand that historically, NYC's mayors have always controlled education in some form, simply because they control the budget and allocate the dollars. We discussed and debated the novel concept of having a "partnership" with the mayor rather than giving in to any idea about continued control. We realized that the very word "control" was problematic, and all the more fueled by what Bloomberg/Klein had done with it. The Parent Commission's Report, recommendations for a completely NEW system, and lobbying efforts spanned a little more than a year of some very hard work. The legislative bill that was drafted by the PC, and sponsored by Senator Shirley Huntley, was written from our recommendations. It very specifically called for an END to mayoral control. The passage of this original bill would have replaced the governance system of "control" with one that recognized and respected all parents as real partners (and that hateful buzz term "stakeholders") in the public educations of our own children. In answer to Sean's comments about the PC not being representative (enough) of the diverse voices and concerns of Black and Latino parents, I agree. Could we have done better in outreach, inclusion and representation of the majority of Black/Latino parents in NYC public schools? Absolutely YES. Did we struggle internally with how to make that happen? YES. Did the issue of race and institutionalized racism as a structural construct in education come up for us over and over? Absolutely YES. Did any of us have the personal skills or training required to really talk to one another about this, and how it affected our group work and individual thinking? NO. Did many of us try? ALL THE TIME. Did the PC wind up becoming a core group of well educated, highly articulate, parent-wonks? I think so. Was that done to purposely exclude any particular group of parents? Absolutely Not. Was/Is the PC an elitist all White, primarily District 2 group of parent leaders, as some continue to accuse us of being? Absolutely NOT. A third of my fellow commission members in the core (active) group are Black parents of varying means and backgrounds who hail from Brooklyn, Harlem, and the Bronx. Regrettably, our numbers in the PC remain in the minority, but we STILL counted. (Four of us from the PC made up the seven Black "Ambassador Moms" who twice got some minor notoriety in the press for our citywide prayer and fasting vigils for the end of mayoral control). The PC has a small, but solid group of parents of color that in my opinion, ought to be viewed among this city's many unsung heroes. Just one example of someone undeserving of dismissal is Rosa Flores from Sunset Park. Her efforts to get other Spanish speaking parents to join her in signing petitions, speaking out at meetings across the city, testifying and representing the too often, unheard concerns of Latino immigrant parents, was nothing short of heroic. Fighting for public school excellence, equity, respect for human rights, democracy and dignity---Rosa was, and still is, a core member of the PC-- and what she stands for matters. Just in case you don't know, I'm a Black woman who birthed and raised proud Black/Puerto Rican children in a low income household no different than a million others. My son graduated from a failing Title 1 school in a high poverty community and I need to think that my activism, both within and beyond the PC, matters. My concerns to represent the Black and Latino community never ceased to be in the forefront of my fight. And no different than any other PC member, I spent time and energy in communities outside of where I live, like Flatbush, East Flatbush, Brownsville, Bushwick, Crown Heights, Bed-Stuy, East New York, Fort Greene and the Lower East Side, outreaching to involve more parents of color. It could very well be that the PC's "wonkishness," was one reason why we didn't excite and mobilize masses of parents, or have more of us of color actually attending the PC's monthly meetings. Some might conclude that we were off track with this heady governance stuff, and thus, our efforts were for naught. But there are hundreds and hundreds of petition signatures gotten from parents in communities of color supporting the PC's recommendations, AND MORE importantly, consciousness raised about imperative school governance issues, and what is really at stake with politicians and corporate types ruling over our children's public school educations. (And internal consciousness about Black and Latino parent concerns was also raised for PC members as well!). The Parent Commission doesn't deserve to be bashed for its efforts. We lobbied, called, wrote, emailed, testified and protested mayoral control with every ounce of energy we had-- and that goes ditto for those of us in the racial and income-level minority who chose to stay with this wonky-group, believing that OUR united efforts on behalf of system-wide change, had importance. Have we suffered from organizational pains? No doubt. I can speak for myself, knowing that I sought inclusion for, and from every fellow, parent activist of color I know outside of the PC. I reached out to you-- Sean, asking you to consider coming back to the Parent Commission to help us. There was always room for the PC to improve and expand. I think we really needed the kind of brilliance, activism and leadership Sean and others like him bring to any group. As far as talking with the UFT is concerned, the Parent Commission ought to be applauded. Cutting to the chase, if all this fuss with governance and school business is really about educating children, then teachers and parents are natural allies. For me, it was about time that we just talked to one another as equally interested parties. Regardless of how the system of education was, is or will be governed, we all know parents and teachers are the ones who make education work. I'm happy that the PC initiated a VERY preliminary conversation and every parent of color (except for one who had to work that afternoon) in the PC attended. Am I a fan of the UFT's politics and leadership? Nope, not in the least. (In fact, the very morning of that talk, I stood with other Black activists outside of a Brooklyn Rubber Room and participated in a press conference denouncing both the UFT and the Chancellor Klein for permitting this abhorrent, embarrassing, emotionally and financially-hideous practice to even exist. Then I went to Trinity Church and prayed to have the peace of mind to participate in a no-deals- made-discussion about how, going forward, teachers and parents can be the allies our children need us to be). If a fish stinks from the head like my mom always said, I just don't see why talking to the "head" in an attempt to bridge some very big and historic divides THEY helped to perpetrate, should be seen as problematic. Confusing too, is the intel reported on the amendments the PC lobbied for when the hand-writing was on the wall, obvious that the electeds would cave in to Gloom-berg's pressure, power and money. Some PC members did fight bitterly to try to salvage something from Albany for NYC's parents. Added to the efforts made for mandating the DoE to obey all city and state education laws, pleading for a short sunset on the new bill, term limits for the PEP, ELL and Special Ed parents on all DoE councils, a no-waiver-education experienced chancellor, an inspector general, am ombudsperson, a funded, independent Parents Union (IPO), and an Education Constitution that would be result from a citywide, public consensus on the purpose and goals of public education, turned out to be pretty fruitless, but worthy efforts nonetheless. Especially now, in light of a very bad bill the city's children, parents and teachers seem to be stuck with until 2015. Detected from Sean's response to my original posting mentioning the PC, was a jab at Leonie Haimson, Class Size Matters and the nyc parents blog. Whatever the beef, I don't think it has anything to do with the Parent Commission. Make no mistake-- I readily defend Leonie and her organization for the spirited fight to reduce class size for the good of ALL children and teachers. )When some very illegal stuff was happening at my kid's school, I didn't know her-- but reached out anyway and got great support. Lisa Donlan, another hard-core, well respected fighter, helped tremendously as well). I give full credit to them both for linking up to start the Parent Commission in the first place. They are both fearless, feisty mothers who took the initiative to do something major. I don't always get along with them, don't always see eye to eye because they just can't look at issues from my poverty stricken, Black view point, but I still praise them as visionaries for seeing the need in this city for an independent, action oriented, parent group think-tank, and being brave enough to DO SOMETHING to get it off the ground. Mad love is given to them for that. But whoever and whatever their foes, fans, flaws or hot buttons.... be they class size, district control or even relationships to education experts (like Diane Ravitch), none of that defined the Parent Commission I worked on, fought for, fought with, and now, have the need to defend. Every PC member was diligent and committed to doing the work we each felt was important. All members are different. Some income privileged, and many more, not so much-- especially in these days. Some came with delivery styles, views on politics, and personalities I didn't like, and that's vis-versa for how they felt about me, too. Bash us for being top heavy with egos and high I.Q. 's and you get no argument from me. BUT trust when I say that not a single individual or personal cause was ever bigger, or more important than that of NYC's public school parents, their children and futures. No one person ever got to define who we are, what we stood for... and with more support from fellow parents, community and education activists... could have been. But I'm proud of them, and the work we did together. Every one of these people I discussed ideas or brain-banged with, is committed to fighting for educational excellence in every school, for every child, of every color, in every zipcode of this city. What will become of the PC now that mayoral control is again in place? Don't know, can't yet say. As individual activists, we all have much to learn. Rev. Dr. David Billings of the Anti-Racist Alliance says that when Black people mobilize, the whole nation moves forward. The PC didn't heed that message, and Sean is absolutely right about the Black/Latino clergy and pols being bought and bound by billionaire bucks. Albany's power brokers would NOT have succeeded if a hundred thousand Black and Latino parents had boarded buses bound for the capitol, stopped traffic on all arteries leading to City Hall, and took to the streets demanding the end of mayoral control. Maybe the tipping point would have even been just 500 of us showing up at any place, many times over in the last three months. My opinion is that the PC should have done better, but that wasn't their mission and even if some of us could have convinced them to do so-- without real training, no one knew how to target the apathy, indifference, ignorance and fear that every other activist group is hampered with when trying to organize and mobilize the masses for social change. It seems us parent and education activists still have a heap of heavy lifting to do, and that starts with how we perceive one another. Finally--- what makes this on-going battle over education so very personal to me is the hurt I carry about my youngest being royally screwed by this system's control over his educational opportunities. In a few years, my grandbaby will enter the same system, likely judged as just another poor, Black kid attending a mediocre public school. I continue to confront race and income bias as the root of all evil, and recognize that no single group will ever be able to eradicate the achievement gap and obliterate the inequities by themselves. And so, I remain a soldier with like minded others in the Parent Commission, iCOPE, Neighborhood Schools for Community Control, 3-R's Coalition, BYNEE, GEM, ICE and the Coalition for Public Education. I pray that unity in our common cause will prevail. But we really need to work differently from now on, better respecting varying approaches to skinning the fat cats, trusting enough to strategize TOGETHER from every angle-- in order to mobilize more people and make the kind of history that public education in this city, deserves. If we succeed in working differently-- but all together as public education activists and parents of all colors and incomes, I have faith that we can actually spark the fire of change in education policy our city needs. When that happens in the big Apple, I also believe all America will take a bite. What's wrong with charter schools?